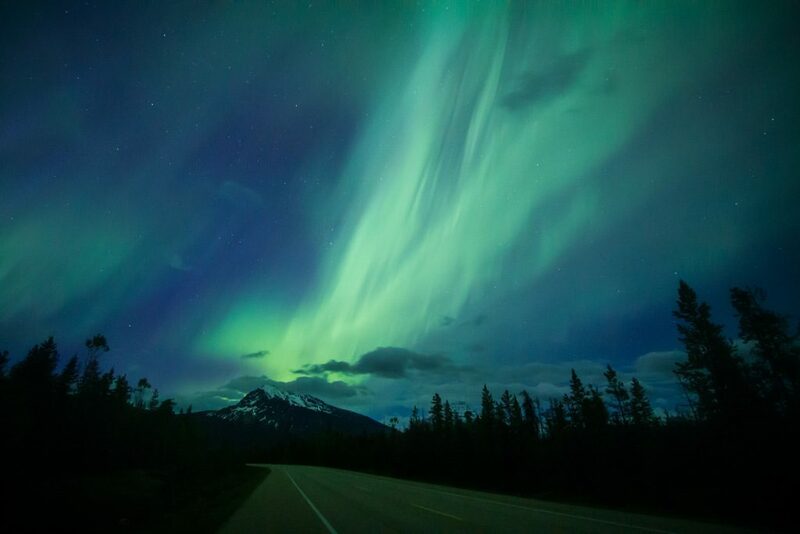 The Jasper Dark Sky Festival is held every autumn. It’s a fantastic celebration of stargazing, hosting informative workshops and events for all ages. Widely agreed to be one of the most beautiful drives on the planet, the Icefields Parkway winds its way from Lake Louise to Jasper. Rent a car and experience over 200km of awe-inspiring scenery. The route takes you on a journey past ancient glaciers, soaring peaks, thundering waterfalls, thick pine forests and emerald lakes. Expect to stop countless times as new viewpoints appear turn after turn and make sure your camera is fully charged. Whether you have aching skiers legs or not, there’s always a reason for a little spa indulgence. We love the luxurious Willow Stream spa at the five-star Fairmont Banff Springs, where the unique environment of the Rockies is harnessed to create a rejuvenating experience. Unwind in mineral pools, cascading waterfalls, and outdoor whirlpools surrounded by glorious mountain vistas. Their spa treatment menu offers a selection of restorative experiences from blissful customised massages to purifying herbal wraps. Or why not enjoy a visit to one of nature’s spas? Alberta is home to several natural hot mineral springs, including the Banff Upper Hot Springs. 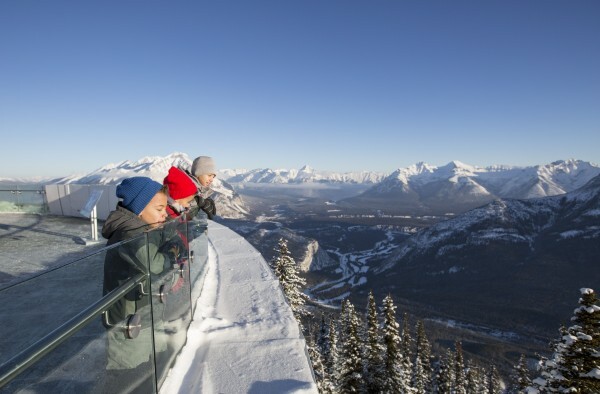 Drink in the best views in Alberta with a ride on the Banff Gondola. You’ll ascend 698m in just eight minutes, before alighting at the summit of Sulphur Mountain for sweeping views of no less than six mountain ranges and the stunning Bow Valley below. There’s plenty to see and do at the ultra-modern summit building, including a multi-sensory theatre, innovative exhibits, two excellent restaurants and an incredible panoramic rooftop observation deck. Or head out for a hike along the Sulphur Mountain boardwalk or the South East Ridge Trail. Alberta is a lovely destination if you’re interested in holistic therapies and wellness. From sunrise yoga sessions to meditation retreats, you’ll find plenty of opportunity to bring balance and calm to your holiday. For a yoga class with a difference, take to the skies for a Heli yoga experience. You’ll fly by helicopter above breath-taking valleys and glaciers to a remote hilltop where you’ll be guided through a mindful hatha yoga practice amongst the dramatic peaks of Banff National Park. Dog sledding has been a mode of transport in Alberta for hundreds of years. So whether you want to try your hand at mushing (driving your own sled) or snuggle under a cosy blanket as a guide drives you through a winter wonderland, this is an unmissable itinerary must. Sleds are pulled by teams of four or six highly-trained huskies. You’ll find several picturesque dog-sledding trips in the Lake Louise area, as well as some wonderful tours leaving from Canmore, not far from Banff. Experience the excitement of ice hockey by joining the spectators at a match. Canada’s national game is a thrilling, action-packed spectacle that will quickly see you cheering along. Travel to Calgary to catch the Calgary Flames in action, one of Canada’s top National Hockey League teams. 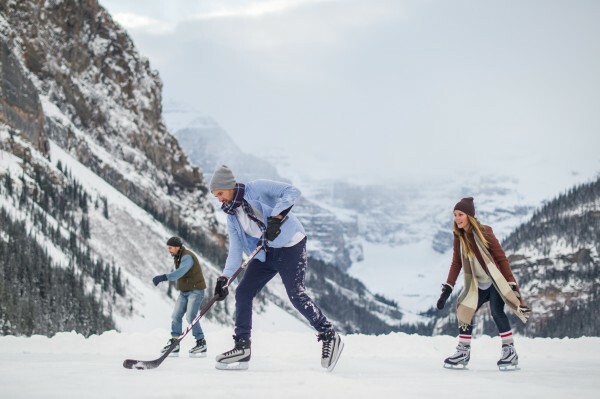 Or you’ll often find locals taking advantage of Alberta’s beautiful frozen lakes to enjoy an impromptu pond hockey match. Lake Louise has to be one of the most scenic rinks in the world. The restaurant scene in Alberta is thriving. Discover delicious eateries serving everything from colourful vegan dishes to locally sourced Alberta steaks. This province is also famous for its craft breweries and distilleries, so you’re never far from a top-notch tipple. Nourish Bistro in Banff is an elegant haven for vegetarian diners. Feast on inventive plant-based dishes using sustainable ingredients and creative cocktails using exclusive boutique spirits. 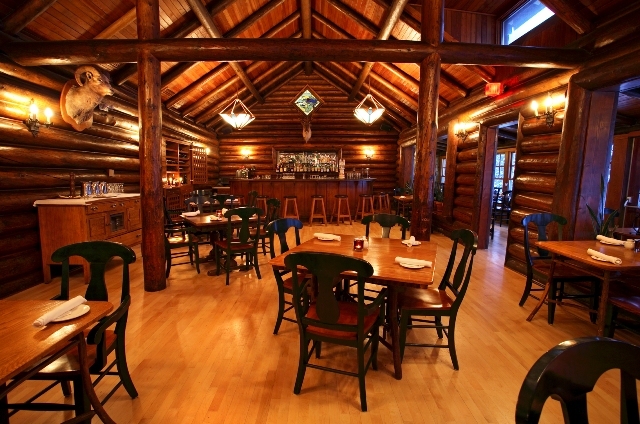 Or visit the Mount Fairview Dining Room at Deer Lodge in Lake Louise for Rocky Mountain cuisine amongst charming rustic décor and spectacular scenery. You’ll find local delicacies like elk and bison on the menu. 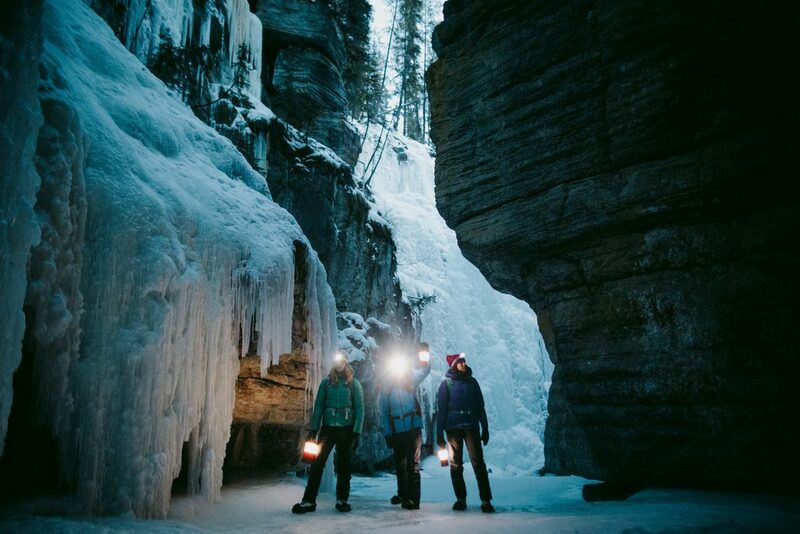 A peaceful night-time walk through frozen waterfalls and steep canyons makes for a truly memorable holiday activity. 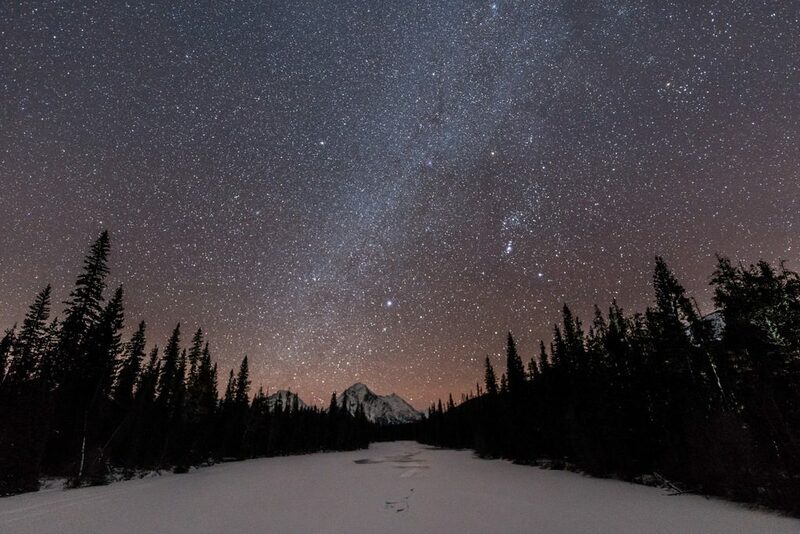 Join a guided icewalk to experience Alberta’s natural wonder in a completely different light. Torchlight, that is. You can take an evening canyon walk through Johnstone Canyon in Banff or Maligne Canyon in Jasper. Tour providers will equip you with ice cleats for your shoes and headtorches to help you illuminate the icy features. 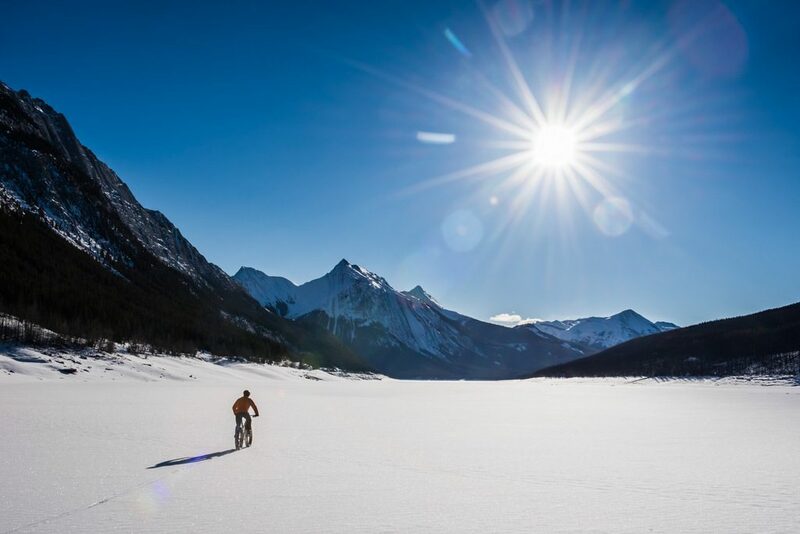 Alberta’s mountains are a winter playground like no other. Head out to explore the jaw-dropping beauty of the Canadian Rockies with a unique wilderness adventure, tailored to you by an expert guide. Perhaps a winter snowshoe or fat bike adventure through snow-laden forests appeals? Or how about a wildlife-spotting trip to catch a glimpse of native species such as elk, cougars or even mountain lions? With its spectacular scenery, amazing snow record and superb choice of activities, Alberta is undoubtedly one of our favourite winter holiday destinations in Canada. Fancying joining the fun? Simply contact our expert team of Ski Specialists on 0131 243 8097 to create your perfect tailor-made itinerary.